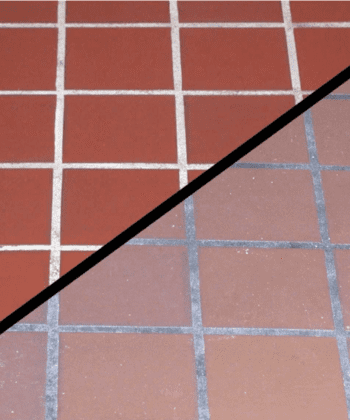 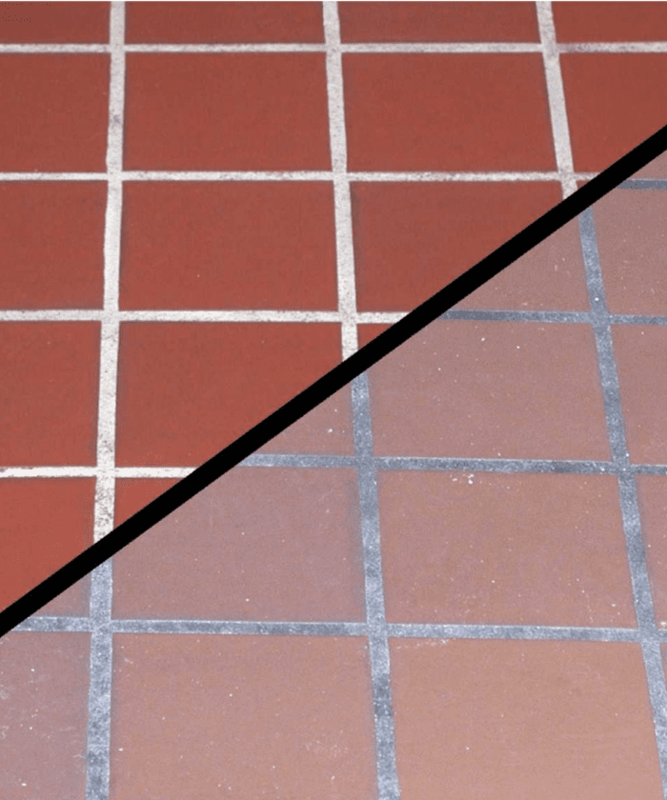 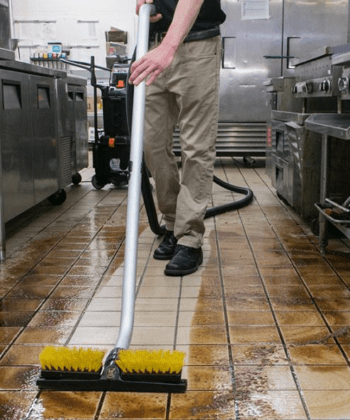 Once the kitchen grease, is gone, from your profiled, unglazed quarry tile and grout, you’re ready for Prepare. 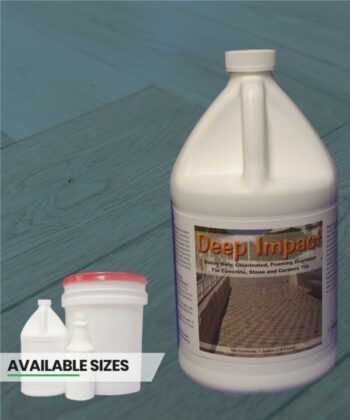 Deep Impact emulsifies and remove such an embedded grease, Prepare opens the pores to the coming conditioner, sealer or finish. 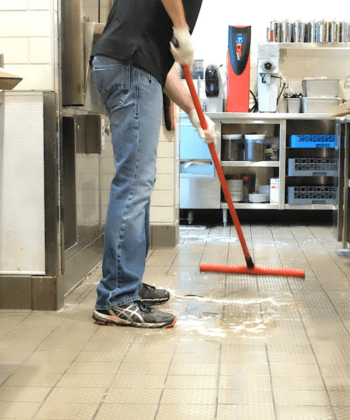 Mixed at around 1:1, Prepare is poured onto the floor substrate, allowed to do its work [about 3 minutes] and is then wet vacuumed up and rinsed with clear water. 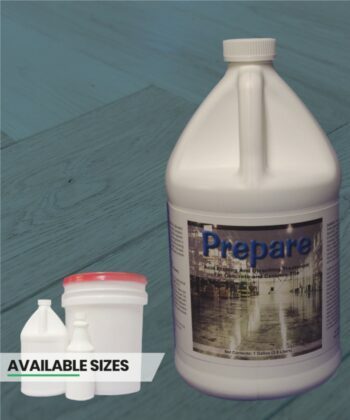 Prepare is a concentrated formulation containing Hydrochloric (Muriatic) Acid, detergents and surfactants for use in preparing concrete, terrazzo, and unglazed stone or ceramic tile flooring for coating with water or solvent-based sealers. 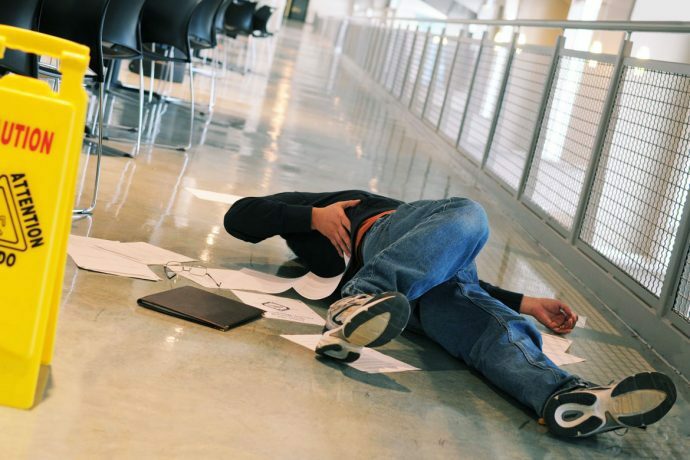 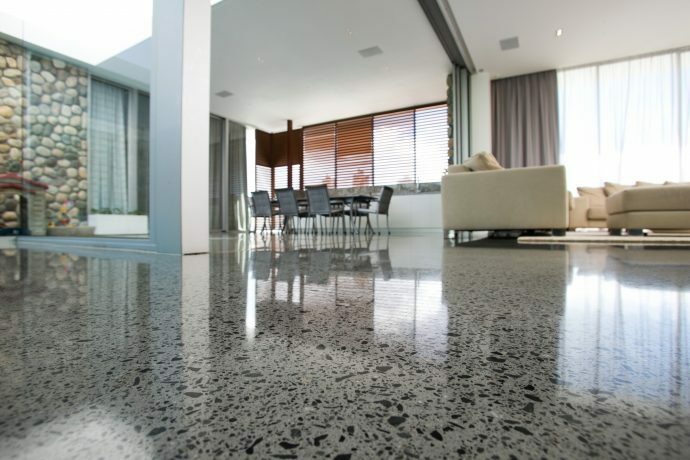 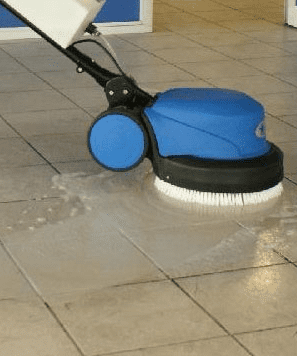 Prepare’s powerful chemical reaction dissolves ground in dust and dirt, opening up the pores in smooth mineral surfaces, insuring proper adhesion characteristics between the flooring and sealer. 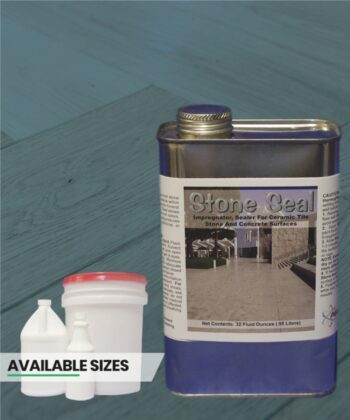 This treatment can also enhance slip resistance characteristics on particularly smooth masonry or stone surfaces.